I’ve heard nothing but great things about Garnier’s new Micellar Water. 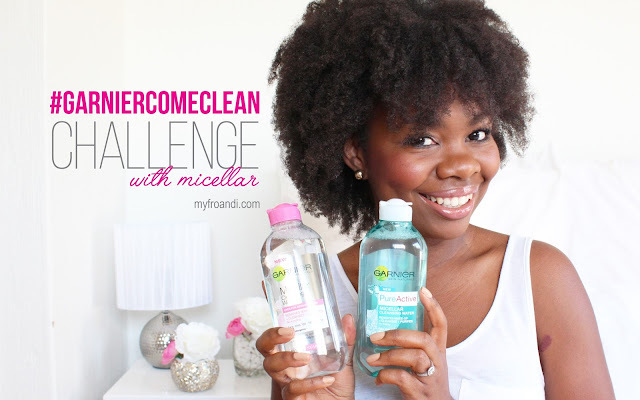 So when they invited me to take on their 5 day #GarnierComeClean challenge, I happily accepted. 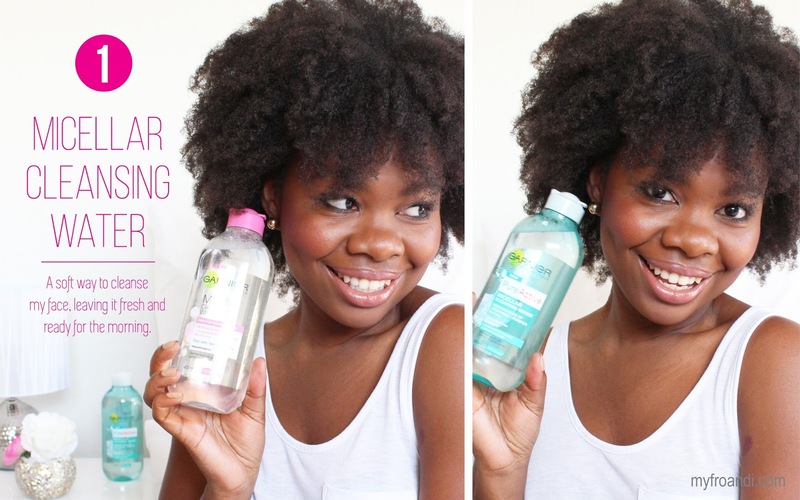 What is Micellar Water, I hear you ask. These much raved about cleansers have taken the beauty world by storm, with almost every editor and blogger I’ve come across raving about them for all to hear. Micellar Water isn’t actually new itself. It was formulated over a hundred years ago in France after Parisienne women reported that the water they were using was too harsh for their skin. Micellar water contains micelles, tiny oil molecules suspended in soft water that are attracted to all dirt, so they draw impurities, makeup and grime from your skin. This means you don’t have to rub your face raw to remove your foundation or eyeshadow. It’s also alcohol and perfume free so it doesn’t sting or irritate your delicate eye area. As part of the #GarnierComeClean challenge, I received a lil’ hamper with all sorts of cute goodies to help me along. Let me take you through my 5 days of coming clean. Of course, I started off with the Micellar Water. There are currently two kinds available in the shops: Garnier Micellar Cleansing Water for Sensitive Skin and if you have combination/oily skin, Garnier Pure Active Micellar Cleansing Water. My skin isn’t oily so I used the first one. Firstly, the bottles are very cute and bubbly. They’re 200ml each and retail for R79. They state that you can use a bottle 400 times so it’s bang for your buck. 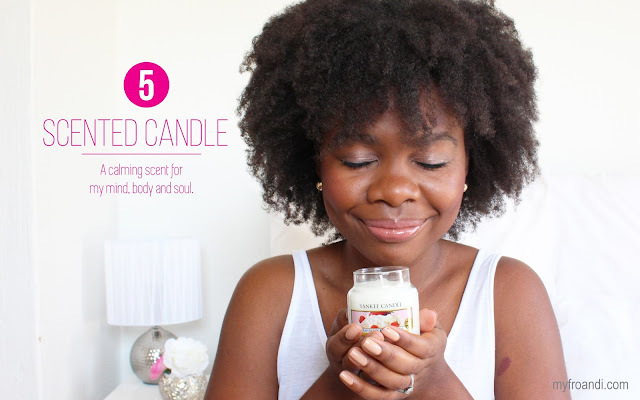 I wear a full face of makeup everyday so I’m on the ball with my evening cleansing routine. As instructed, I dropped some Micellar Water onto a cotton pad and wiped my face with it. I used about 5 pads until the last pad was clean. I was pleasantly surprised that it didn’t leave an oily residue or dry my face out like other cleansers have done. Plus, I didn’t have to rinse it off so I could clean my face in bed and sleep straight after. Many people go on about their coffee and how their day can’t start without it. Well, I’m a tea girl. The more interesting, the better. I love my mom’s Tanzanian ginger tea, so when this Pukka Revitalise box of cinnamon, cardamon and ginger tea came in the hamper (making the whole box smell like a warm spice jar), I was really chuffed. 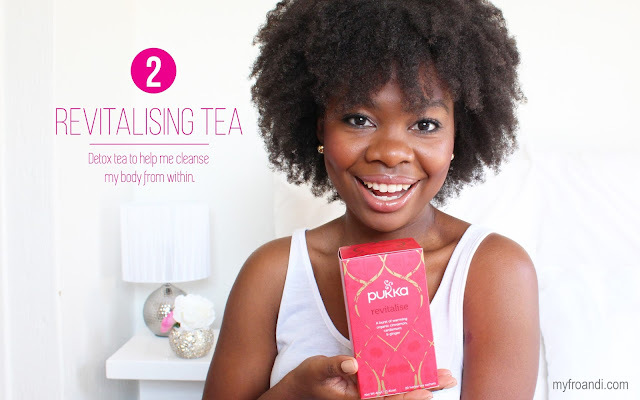 If spicy tea isn’t your thing, then I guess this isn’t for you but this tea was perfect for my morning waking up routine and when I’d sit at my desk blogging. It’s warm, comforting and makes me nostalgic for my mom’s cuppa. My friends think I’m weird when I get excited about stationary. Yes I have a phone that I can take notes with but it’s just not the same. I’ve always loved the look and feel of a brand new notebook, completely unwritten and blank. 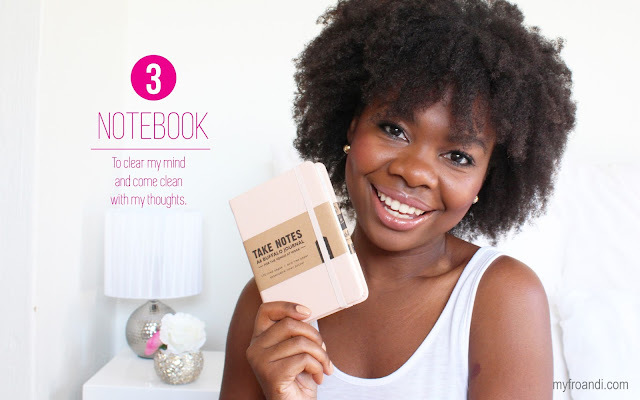 I can never have too many, and this cute lil’ pink one is perfect for me to jot down ideas, pop it into any handbag and go. I noted that the number of cotton pads I’ve been using for cleansing my face in the evenings has reduced to three. I realised that I don’t have to use so many because the first pad actually goes to work and can take off the majority of my makeup. There’s no such thing as coming clean if there’s no water involved, right? 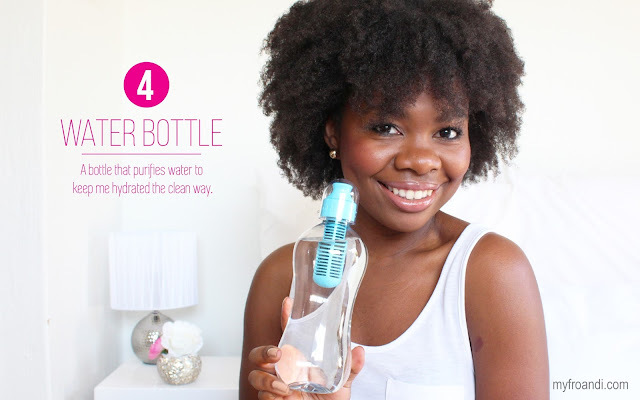 From inside out, we all know water is an absolute necessity to healthy, glowing skin. Water is the only thing I have with meals and on my desk at work. On the go, a water bottle is so key. One with a filter, even better. Sometimes after I’ve cleansed face with my cleansing wipes, I have to lightly splash my face with water, especially my eyes to calm them down from the irritation of removing my mascara. You know I love drama on my lashes. I layer it on quite thick so it’s always a challenge to remove and some residue will contact my sensitive eyes and sting. With the Micellar Water, I still had to rub a pad over the lashes to remove the mascara, but it didn’t take as long or hard to remove and my eyes were happy. I think of all things, this excited me the most about this product. No eye irritation = major brownie points. It’s important to be able to relax and enjoy the small things sometimes. And being a girl, I do love my smelly things like scented candles. This strawberry buttercream one from Yankee Candle fit right in with my desk decor and other lil’ things that make me happy like my pink elephant stickeez (yes, I have a couple of these weirdly cute thingies). On my last day of my challenge, I tested to see if just one pad would work to clean my entire face. The pad stayed wet the whole time and kept removing what was left on my skin without smudging it back onto and around my face. I did have to use one more pad though to finish the job off, catching what the first one didn’t. Impressed. All in all, I give this cleanser a thumbs up. It does what it says it does and gently. I’m normally a wipes girl so to have to use more cotton pads than I usually do was my only real gripe. I’ll definitely be keeping it in my skincare routine. The mascara removing ability has sold it to me. I didn’t lose one eyelash and I started my day off with a refreshed, empty canvas. Score. 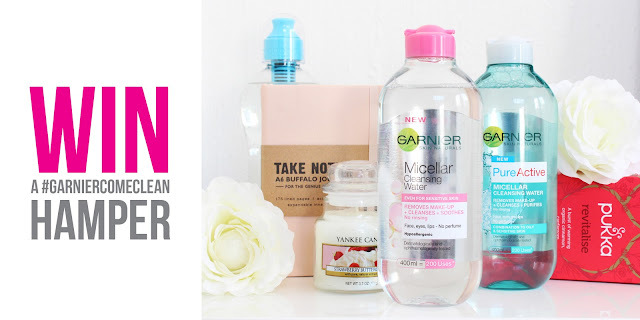 Have you tried Garnier Micellar Water? What did you think? Congratulations to Kabelo Themane for winning the #GarnierComeClean hamper Facebook Competition! Previous Post #MyLancôme: Share Happiness Giveaway! Hi Aisha. I also got the miscellar water a few weeks ago. Please can you clarify, is it meant to replace washing your face with as you normally do with water and soap? Apparently so Wandile. When I use it I don't do anything else and the instructions on the bottle itself don't call for you to wash your face because it does all the cleaning. Handy right? Nice, pretty and girly post. I think I might try the micellar water on my next trip home to Atlanta. That notebook is soooooooo cute!!! Thanks Berry 😉 Yeah the notebook was a great surprise. I LOVE notebooks. Can never have too many lol.